Hansen's disease, historically called leprosy, is one of the world's most misunderstood diseases. It is caused by the bacteria Mycobacterium leprae and has symptoms including nerve damage, lumps and/or ulcers on the skin, selective muscle paralysis, and blindness. Leprosy is now called Hansen's disease, after Dr. Armauer Hansen, the Norwegian physician who discovered its bacterial cause. The disease is not nearly as infectious or aggressive as once believed. Only 5% of humans are susceptible to infection by the bacteria. Hansen's disease is transmitted by inhaling aerosolized droplets from an infected person or, recently discovered, through contact with the nine-banded armadillo. 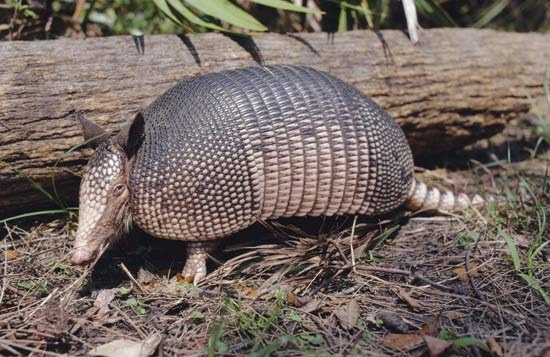 The armadillo is able to contract and spread the disease through handling, or through being eaten. Hansen's disease has a low virulence and transmission from an infected person requires direct person-to-person contact over long periods of time. Hansen's disease is rare in developed countries such as the United States though it has been on the rise. Annually, there are over 50,000 new cases worldwide, with 200 new cases in the US alone. It is very much present in impoverished areas of Asia, Africa, and South America and contrary to common belief, it is still a widespread problem. Due to the belief that Hansen’s disease is uncommon or eradicated, treatment centers around the world have been closing. This has caused a resurgence of the disease. Hansen's disease is cured by multi-drug antibiotic therapy. Two weeks after receiving the first antibiotic dose, those receiving medication are no longer contagious. Treatment takes six months to two years, depending on the individual's immune system and the severity of disease present. The disease is completely curable, regardless of how long a patient has been infected. Depending on how long a patient was infected, after they have been cured, they can still have complications due to nerve damage in their limbs. Hansen’s disease has been around for a long time. It is considered THE biblical disease. Because of this, there is a large stigma associated with people who have Hansen’s disease. There are many people, who even after being cured, are ostracized by their friends and family and are unable to return home or find work. There is a large amount of misinformation that is spread about Hansen’s disease and it is one of the missions of Damien House to change. If people can recognize the symptoms of Hansen’s disease and receive treatment early, they can return to their home and jobs and continue with a normal life. The nine-banded armadillo is thought to be responsible for some of the 200 cases of Hansen's Disease in the US.